Celina Jaitly's father Colonel Vikram Kumar Jaitly died in July last year. 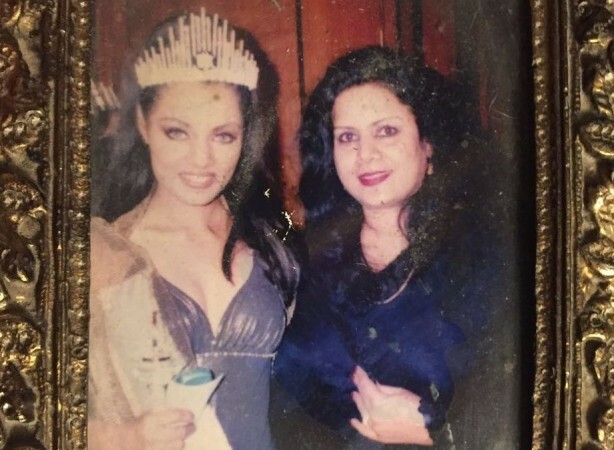 Actress Celina Jaitly's mother Meeta Jaitly passed away on June 8 in Lucknow after battling cancer for a long time. The actress' father Colonel Vikram Kumar Jaitly died in July last year. She had expressed her sorrow that she could not be by her father's side in Indore when he passed away and was inconsolable about not seeing her father one last time when she reached in the city for his last rites. Bereaved over the loss of her mother, Celina penned a heartfelt note on her Facebook to thank all those who stood by her in this time of mourning. "A thousand tears could not bring you back, I know, because I cried..
A thousand words could not bring you back I know, because I tried...."
Our most beloved, gorgeous and stunning mother, Meeta Jaitly left us yesterday on the 8th of June 2018 (Lucknow) to join her soulmate and beloved husband Colonel Vikram Kumar Jaitly just 11 months after his tragic and untimely demise. A brave army wife, a professor of literature, an entrepreneur, former beauty queen and most beloved grandmother. She fought a case of a serious form of galloping cancer bravely until her last breath like a true infantry wife before succumbing to the disease in our arms yesterday. She is mourned by her entire family and the grief has been unbearable for myself and my brother Vikrant Kumar Jaitly, her mother Mrs Usha Francis and brothers Ameet Francis, Gautam Francis, sister Asha Asthana, Son in law Peter Haag, Daughter in Law Charul Chaturvedi Jaitly, sisters in law Emma and Avantika Francis, nieces, nephews and her most beloved grandsons Winston, Viraaj and Arthur. They say angels carry you on their wings in times of trouble, myself and my entire family would like to take this opportunity to express our immense and heartfelt gratitude to esteemed SaharaShree Sir Shubroto Roy, his wonderful wife Mrs Swapna Roy, his son Seemanto Roy, CEO Sahara Hospitals Babu Sahib, the amazing Indian avatar of Florence Nightingale, Dr Preeti and the entire SaharaParivaar for making our mother's sudden most difficult final journey a blessed one. We are indebted for eternity to SaharaShree and SaharaParivaar, and with this we bid you adieu Mother until we sleep in your arms again. Thank you Rashesh Bharat Shah, Radhika Rashesh Shah, Surinder Tony Bhatiaa, Sudesh Sonawanee, Inder Vhatwar, Jennylyn Mogol Santos, Sarvesh Sharma, Maneaters of Kumaon, Battle honour squad Bhaduria and Russell, your support and love is irreplaceable, blessed to have friends like you."